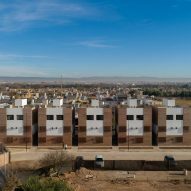 Argentinian architecture studios Nomada and Eypaa have created a row of five low-cost apartments blocks for school teachers in Córdoba, Argentina. 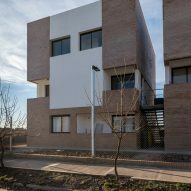 Each of the three-storey blocks contains three apartments, with one on the ground floor and two duplexes above spread across the first and second floors. 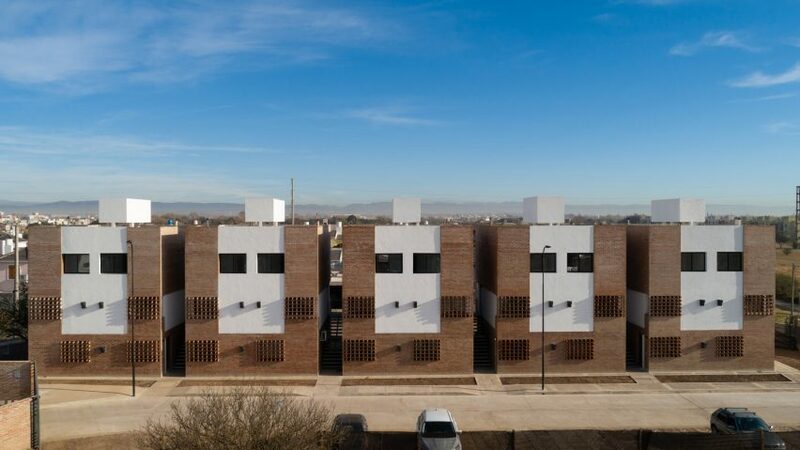 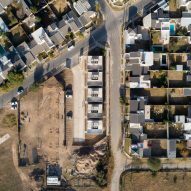 The Asociación Mutualista del Docente de la Provincia de Córdoba, which offers support for teachers in the Cordoba province of Argentina, commissioned the blocks as part of a neighbourhood of affordable homes. 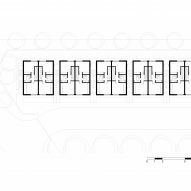 In total the development will contain 42 of the blocks, which will each have communal courtyards and patio spaces, when it completes in 2024. 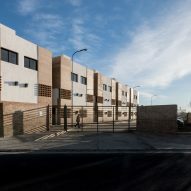 Each of the streets will consists of small groups of between nine and 15 housing blocks. The blocks have been designed to be collective housing where the owners share common spaces and services. 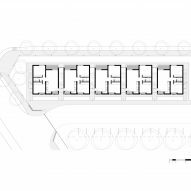 Each of the two-bedroom homes has its own parking space and they share a communal pool, a barbecue and community garden. 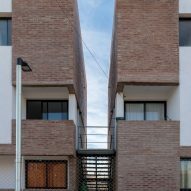 "At the beginning, the client requested three large blocks of more than 40 apartments each, the counterproposal of the project was to build blocks of three houses each to establish a better relationship with the immediate environment and propose a lifestyle closer to the concept home," said the architects. 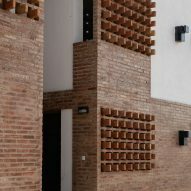 Using traditional materials and local labour, the houses were constructed from brick and openings such as internal balconies are highlighted with hit-and-miss brickwork. 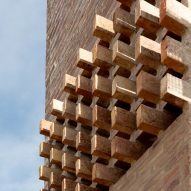 Brick louvres are used to allow for privacy as well as providing sun protection. 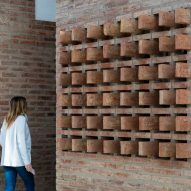 "In Córdoba, brick is a material that is part of our cultural and constructive tradition and is widely used in both individual and collective housing," said the architects. 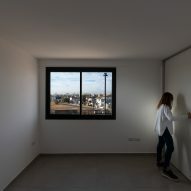 The architects hope that the development will demonstrate a new way of designing collective alternative in the country – as an alternative to high rise blocks. 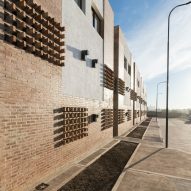 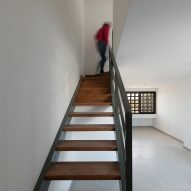 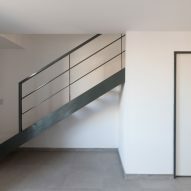 "The housing proposes a contemporary aesthetic that dialogues with our culture and our tradition, using local labour and brick as the protagonist in different situations, generating closed and also permeable enclosures that allow the control of light as well as that of privacy", said the architects.